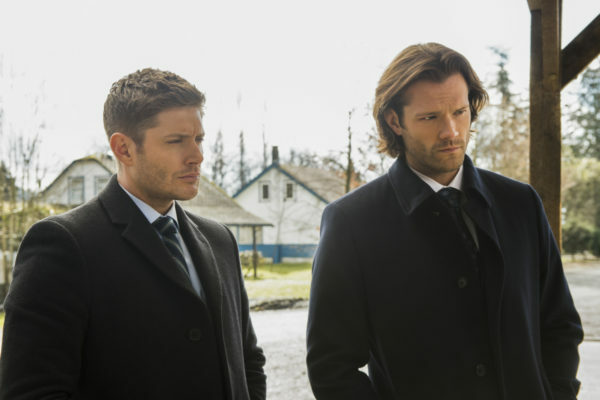 The British Men of Letters are spying on Sam and Dean while the boys are fighting against an old-school monster. It’s bound to get worse when the truth is revealed. And the Winchesters are going to have to fight on multiple fronts. I hope they’re ready for it! The case that this episode focused on felt like a throwback to the early days. We start off with the typical launch of the mystery, with a group of young men gathered around a bonfire and then one of them wandering off alone. 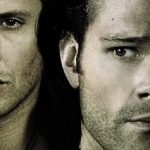 What have we learned over more than a decade with the Winchesters? Never wander off alone in the woods or else you will die or be kidnapped. And this is what happens this time around, too, with Jarrod being attacked and taken by a man with the head of a goat and his friend Daryn being unable to save him. Sam gets wind of the death, as well as the town’s long history. Someone has disappeared in Tomahawk once a year for multiple decades, but then the disappearances suddenly stopped in 1997. Now, they are starting up again for no explained reason. That mysterious situation was enough to draw Dean and Sam to the town and they start peeling back layers of town secrets. Daryn’s stand-offish, but he claims that the goat-man is a town legend by the name of Black Bill. The sheriff is unconcerned about the disappearance or Daryn’s suspicion. The local legend, he claims, is just that. But, of course, we know better. The meat packing plant where Daryn works has deep ties in the town. Everyone tended to work there, it being a company town, and the future for its workers never seems very bright. Well, except for Pete, the stand-in boss. He’s a stickler for the rules and seems to be on the fast-track to be a permanent part of management. Plus, with Black Bill taking out the workers one after another, Daryn being the last in the long line, Pete might need all the help he can get. But with Daryn’s disappearance, Dean and Sam uncover yet another secret the town is hiding. The sheriff is actually the plant’s owner, so it seems he’s hiding much more than just a dislike for the local slackers. The Winchesters, with the sheriff being their lead, head off to the family mansion to check around. Nothing seems interesting until they find a multiple-locked door leading down to the basement, revealing a torture room. The legend of Black Bill seems to be pointing directly to the sheriff, and that’s confirmed when he comes home and the boys confront him. His family had caught a god, Moloch, and kept him prisoner over the years. In return for feeding him blood, Moloch would grant them riches. But when the sheriff’s father died in 1997, he put a stop to the killings, hoping Moloch would just starve to death and the family’s black mark would soon go away. Good plan, but it didn’t work out that way. Now, someone else is killing under the guise of Black Bill and Moloch is roaming around free. 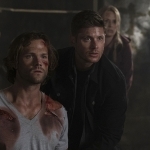 It’s up to Dean and Sam to figure out who has taken up the mantle before someone else dies, namely Dean himself. A quick revelation shows that the murderer was Pete, who is actually the half-brother of the sheriff. He’s bitter that the sheriff got the riches and good life while he was poor growing up in the trailer park. Fights with Moloch and Pete ensue, with Sam saving the day and preventing his brother from being the next of Pete’s victims. 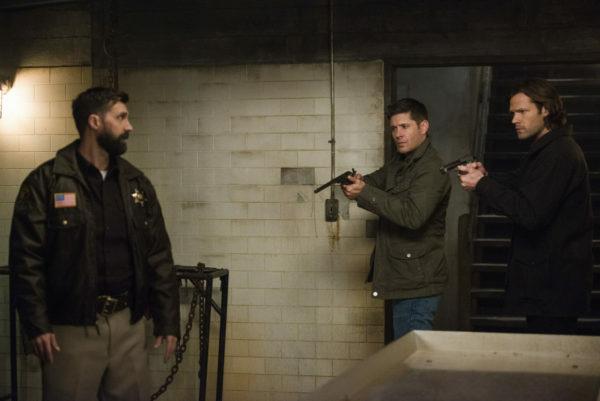 And the sheriff offers to clean up the mess, since his family caused it in the first place, so that Dean and Sam can get out of town without becoming entangled in the investigation. All seems to be well. Guess what? All is not well. While the boys have been solving the case, Ketch and his minions have been in the bunker, searching through their belongings and bugging the place. 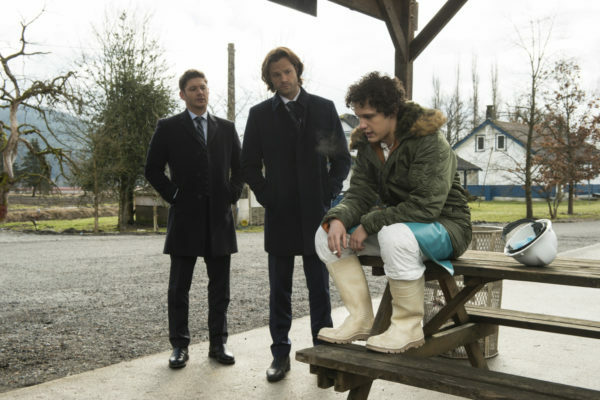 Upon Dean and Sam’s return, Ketch is now equipped to listen in on their conversations and garner even more knowledge about the Winchesters and their casework. Ketch also seems to have a really huge fascination with Mary, which I’m sure will be his undoing in the end. Perhaps the world will not remember Dean or Sam in a hundred years, but the people they saved will be their legacy. Together, they are stronger than anyone, and that includes the British Men of Letters. 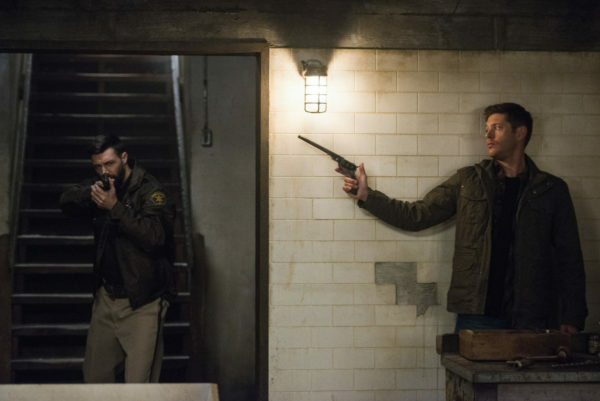 Ketch better be on guard and not underestimate the power of Dean and Sam.